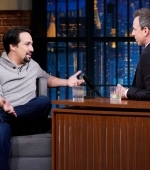 A new series of interviews, that begins with Broadwaycom. Under the cut you can find more: Oh My Disney, Yahoo Entertainment, Cineworld Cinemas, ODE, VT., kinowetter, RTÉ lyric fm, Latinx Now, SensaCine, The Young Folks and Noticias Telemundo. 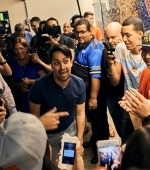 On December 27, Lin-Manuel Miranda arrived in San Juan, Puerto Rico, to get ready for the Hamilton run at Centro de Bellas Artes Luis A. Ferrè, starting January 11th. At the airport he was greeted with typical Decimanía music and took part to a press conference held at the JetBlue terminal. 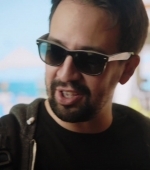 During the press conference, it was presented the web series of eight chapters of less than five minutes each, “Discover Puerto Rico with Lin-Manuel Miranda”, to promote local tourism. Check a video below and the first episode of the web series, “Rediscover”. In Gallery you can find the screen captures. 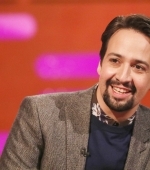 In the middle of the Mary Poppins Returns world promotional tour, Lin-Manuel Miranda stopped by Washington DC to be honored with his friends and collaborators Thomas Kail, Alex Lacamoire and Andy Blankenbuehler at the 2018 Kennedy Center Honors “as trailblazing creators of a transformative work that defies category” for Hamilton. We already have pictures of the weekend, an interview for the CBS and an interview, with photoshoot, for The Washington Post. Check below the official clip of “The Schuyler Sisters” performed by Renée Elise Goldsberry, Jasmine Cephas Jones, and Phillipa Soo, and “One Last Time” performed by Christopher Jackson, Lin-Manuel Miranda, along with Voices of America Youth Choir. 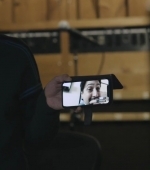 Under the cut you can find an official video of highlights of the show, the introduction of the honorees, interviews to Miranda, Kail, Lacamoire and Blankenbuehler; an interview to Renée Elise Goldsberry, Jasmine Cephas Jones and Phillipa Soo. A new series of interviews, that begins with Glamour Magazine UK. Under the cut you can find more: Collider Quick, ABC10, FlickDirect, Fun Kids, Julie James, CBS Miami, Zoe Cannella, VL., CinéSéries. 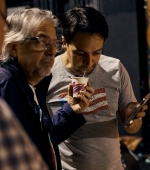 A new article from The New York Times helps to shine a light on what happens in Puerto Rico with Hamilton, since, as we know, the production had to relocate from the theatre at the University of Puerto Rico to the Centro de Bellas Artes Luis A. Ferrè. 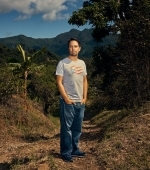 Michael Paulson followed Miranda during his trip in Puerto Rico to unveil a Coffee Development Initiative back in October. VEGA ALTA, P.R. 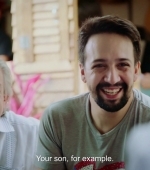 — The road to Vega Alta is lined with Lin-Manuel Miranda. Literally. This is the town where his father is from, where he and his sister spent summers as kids, where their aunt and uncle still live. It’s also a community that has seen better days — challenged by joblessness and crime and a town center dotted with vacancies. Now, at the heart of the commercial district, in a space that once housed a disco called the Pink Panther, is La Placita de Güisin, an arcade built by Luis Miranda, Lin-Manuel’s father, who left for New York when he was 18, but never stopped coming back. 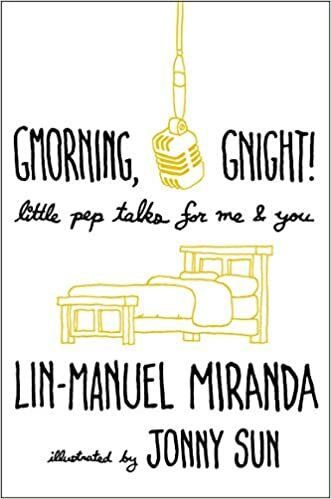 It features a bakery, a barista and a cafe; there is a gift shop selling Lin-Manuel Miranda merchandise (yes, he has a merchandise line), as well as a mosaic mural depicting him and his grandfather. 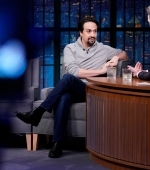 Mr. Miranda, preparing to reassume the title role of “Hamilton” for a three-week run that begins in San Juan on Jan. 11, arrived in Vega Alta one rainy Tuesday night this fall like the celebrity he has become. 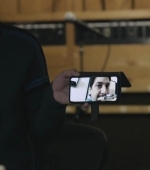 He and his father, accompanied by publicists and staffers and a documentary film crew, took a private plane to the island and then a black S.U.V. to Vega Alta, where they were celebrating local arts organizations the family is assisting as part of their intensified philanthropic efforts in the aftermath of Hurricane Maria, which slammed into Puerto Rico last year. 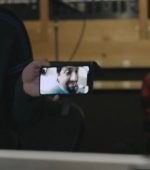 A dozen amped-up adolescents, some wearing A. Ham hats, cornered him by the mural and, from memory (O.K., one or two of them were peeking at cellphone screens), performed an a cappella version of the musical’s opening number, led by their high school English teacher, Edd Ramos, who has been using the show’s coffee-table tome as a textbook. Mr. Miranda, sporting Spider-Man sneakers, leapt into the scrum, singing and dancing along with the teenagers, videotaping them as they videotaped him. Then, under a tent erected over a side street, he and his father sat in the front row, nodding their heads and joining the crowd as the singer-songwriter Antonio Cabán Vale, known as El Topo, performed “Verde Luz,” a danza that has come to symbolize Puerto Rican pride. But even lighthouses get battered by waves. Read the rest of the article under the cut. A new series of interviews, that begins with LADbible, a new The A. V. Club’s one where he lists his five favorite musical numbers ever put on screen, and a new POPSUGAR’s one where Miranda tries to spell ‘supercalifragilisticexpialidocious’ in 30 seconds. Under the cut you can find more: Tampa Bay’s Morning Blend, Ultra Fiesta, kino tv, Seth Kubersky, DE PELICULA, EstoEs COMBO, SensaCine México, and Télé Matin, dubbed in French. 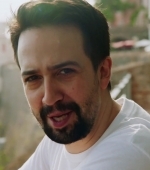 Less than three weeks before Lin-Manuel Miranda returns to the title role in Hamilton for the hit musical’s Puerto Rico residency, the production has announced a venue change due to security concerns: from theatre at the University of Puerto Rico, the show relocates to the Centro de Bellas Artes Luis A. Ferrè. Because of the sudden change in venue, the Puerto Rico residency has pushed back its opening date from January 8th to January 11th. Additional shows will be scheduled to accommodate ticket holders who were affected by the venue change. Miranda released a statement, available via PrimeraHora. Estaba increíblemente emocionado de caminar por las tablas del escenario recién renovado de la UPR. Es el alma mater de mi padre, y ha trabajado duro durante más de un año para presentar el espectáculo allí. Estoy triste de que esto no suceda en esta gira, pero estoy agradecido de regresar a Bellas Artes, donde tuve una experiencia verdaderamente extraordinaria en ‘In the Heights’ en 2011. Under the cut you can read the full The New York Times report. On December 21, it aired on BBC One an episode of The Graham Norton Show with the Mary Poppins Returns. On the show Youtube channel are available two clips focused on Miranda, you can watche them below, and in Gallery there are all the HQ photos. 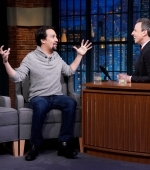 On December 20, Lin-Manuel Miranda stopped by the Late Night with Seth Meyers to talk about his movie Mary Poppins Returns. Watch the videos of the interview below and check the photos in our Gallery! 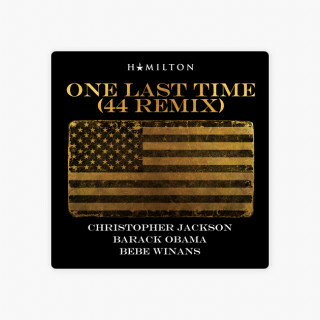 On December 20, Lin-Manuel Miranda dropped the last Hamildrop, ‘One Last Time (44 Remix)’, performed by Christopher Jackson with production from gospel great BeBe Winans and Alex Lacamoire. Mid-tune, former U.S. president Barack Obama reads a moving passage from George Washington’s farewell address that is featured in the play. ‘One Last Time (44 Remix)’ is available for download and streaming. 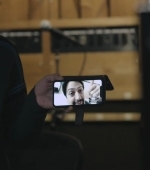 [EDIT] Added the screen captures of the Lin-Manuel’s bit in the recording session video.